Serena Grace, Kieran Mitchell and Jordan Catchpole are the three talented locals to be awarded Ron Harrod Foundation funding in 2019. The Foundation provides £5,000 each year to support one or more promising local athletes under 25 who face challenges funding their sporting career. Jordan is a 19-year-old para-swimmer, Serena a record-breaking 15-year-old runner and Kieran is an 11-year-old skier, all from the Norfolk and Suffolk counties. Harrod Sport invited nominations from the public in autumn 2018. These athletes were shortlisted by a judging panel including Tony Bush from Active Suffolk and Jack Herbert with the winning athletes selected by Olympic boxer Anthony Ogogo. Harrod Sport Sales & Marketing Director Kevin Utton explains that: "Anthony simply couldn't choose between all of the talent, so we are delighted to announce that we have three winners who will each share the pot and receive funding this year." The winners all admitted to being surprised and elated to have won. Kieran said: "I was so happy that I had to call my Nan and tell her my news. It means a lot to me to think other people believe in me." "I'll be putting the money towards decent sports equipment, running clothing and footwear," says Serena. "I need a decent pair of running spikes for my biggest competition yet this year." Jordan tells us that he's proud to receive the funding, adding: "I haven't had time to celebrate yet because I'm in heavy training at the moment - but I will! It feels good to be recognised and believed in. It makes all the hard work seem even more worthwhile." Kieran's dad, Dale reflected on the experience: "Initiatives such as The Ron Harrod Foundation are important because there are some very talented young athletes who struggle with funding. Without initiatives like these, most of them will never get to realise their full potential or even get the chance to compete." You can read more about each of the winners in the profiles below. With a message for all of the winners, Ogogo said: "I hope you spend the money wisely and continue to become the best athletes you can be. I will watch your career flourish with interest." 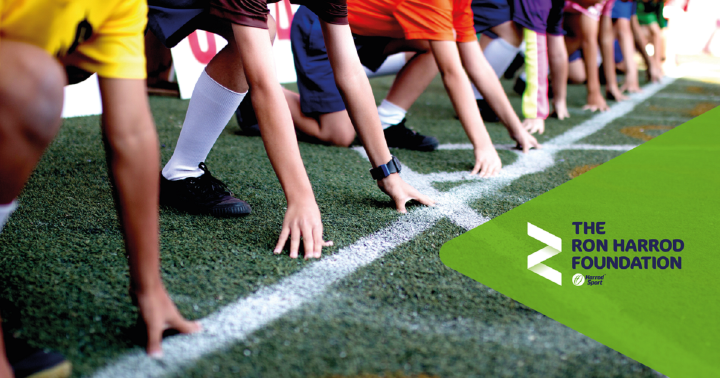 Named after the company's founder, The Ron Harrod Foundation was set up in 2018 to help young, local athletes. "Everyone at Harrod Sport has been delighted with the success of the Foundation in its first year, with more than 60 inspiring submissions for sports ranging from rollerskating to karate," says Kevin. "It was exciting to see the variety of sporting talent across the region and it makes Harrod Sport proud to be part of this community. Kevin adds: "All of the winners have already achieved so much in their early years and we can't wait to watch their progress over the year and see what the funding helps them achieve next. We're excited to be on this sporting journey with them." 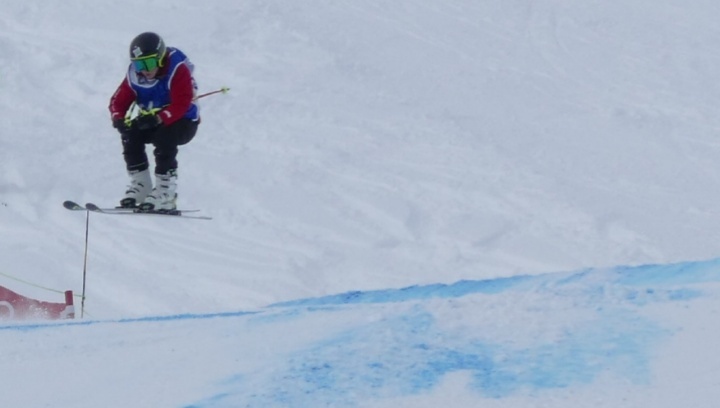 Kieran is a talented young dry slope skier from Taverham, near Norwich. Commenting judge Jack Herbert said: "He's a young man with great potential who has already achieved so much. With funding, he could go far." Harrod Sport talked to Kieran - who attends Taverham High School - about his win: "My parents are very happy and excited for me as it will help me reach my dreams. "I would like to put the money towards a training/race camp with The Cross Collective which would allow me to compete abroad. I'd also like some new race gloves as mine are getting too small. 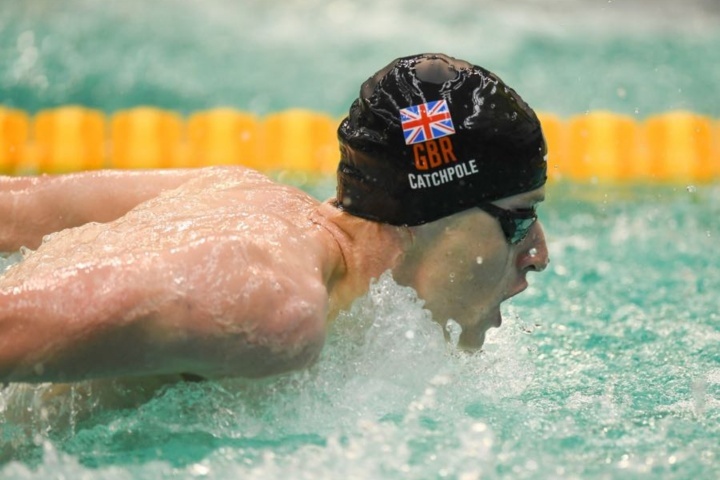 "I have just moved up an age group and I would like to do well again this season, but most of all I would like to do well in the British Championships this year. I am also hoping to attend all regional and national races and the all England championship later this year. Kieran is an enthusiastic member of The Cross Collective ski cross team and Norfolk Snowsports Club, where he is a member of the race team. He also attends Renkeido judo club and TPF-Parkour in Norwich. "Advice for other young athletes like me? Follow your dreams, put in 110% effort and don't give up even when things get hard." Kieran was nominated by his dad Dale Mitchell who told Harrod Sport that "it means a lot to us to win. It will allow me to organise some great snow training and races abroad. I cannot thank the Ron Harrod Foundation enough for choosing Kieran as a finalist. 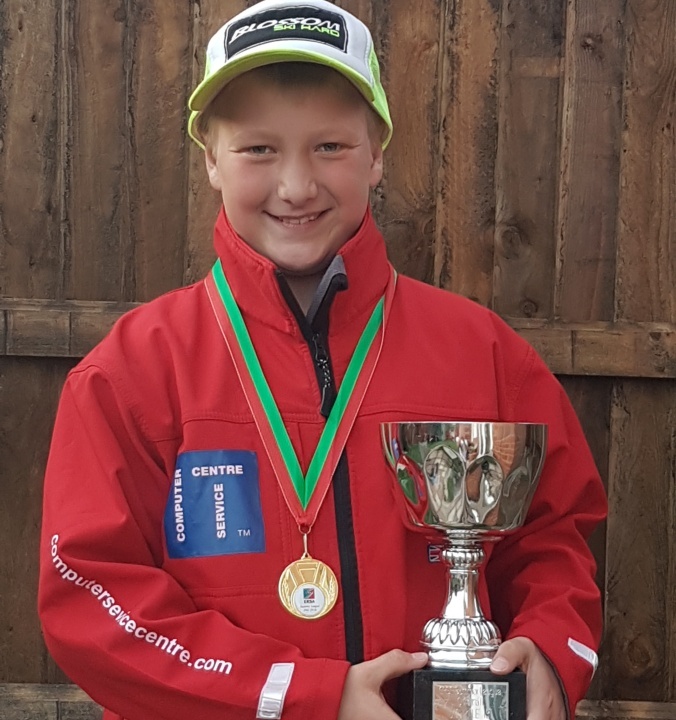 "I suffer from Multiple Sclerosis and no longer work so the main challenges for us are the funding of all the equipment Kieran needs, the different dry slope training camps and races in the UK he requires to keep him at a competitive level. He would not have been able to train and compete abroad without the help of this funding. Dale is looking forward to seeing Kieran compete in the summer dry slope league. And while he's confident his son will do well, Dale's main goal is for Kieran "to enjoy himself while doing what he loves and getting a step closer to realising his dreams." Serena has competed for her club for the last five years - from the age of 10. Since then she has been involved at a County, Regional and National level for both track and field events as well as indoor athletics. She was the Norfolk County Champion for the last three years in 60m, 100m, 200m and 300m in both U15 and U17 category. As Agogo notes, her biggest achievement was breaking the 300m County Championship record which hadn't been broken since the early 1990s and she remains the current U15 record holder. The young athlete also appeared in the local newspaper, The Eastern Daily Press having been awarded the Norfolk and Waveney Outstanding Sporting Achievement of the Year 2017. Vanessa Butcher, Serena's mum, tells us that Serena has more than 130 medals and nearly 30 trophies in her collection. Anthony Ogogo said of Serena: "By breaking a record that has stood for longer than she's been alive is no mean feat. She must be extremely talented and hardworking." "I was astonished but delighted and overwhelmed. It makes me feel happy and encouraged to know that my athletic abilities are being recognised because of my dedication and commitment to this sport. My mum was excited too." Serena attends Notre Dame RC High School in Norwich and competes for the City of Norwich Athletics Club. 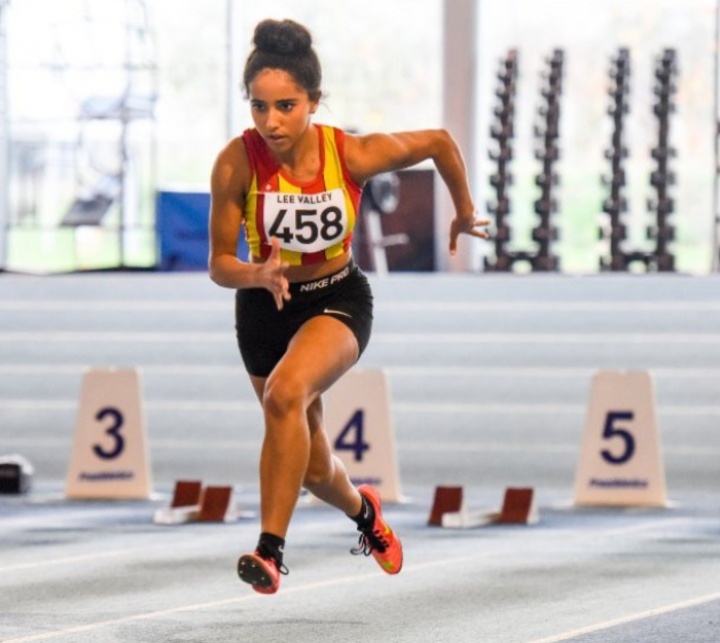 "My hopes for 2019 are to compete at a higher level, being injury free and achieve exceptional results when I am competing for the Catholic School Federation of Great Britain in July this year. "My advice to young athletes like myself is to pursue your dreams by doing what you are passionate about and never give up even when things don't go to plan." Serena was nominated by her mum, Vanessa says: "Serena was dumbfounded at first, then delighted to have been chosen as she knew there are so many other talented athletes out there. It means a lot to both of us because it now takes away some of the financial worries of whether or not Serena will be able to attend all the yearly county, regional and national competitions this coming track season. Vanessa tells us that "as a single parent, with very little family support," she's faced a lot of financial challenges funding Serena's athletics career by herself. "I've often had to buy pre-owned footwear and equipment for her just so she can continue what she enjoys doing." Vanessa hopes that 2019 will be the best year that Serena has ever had, achieving her best ever times. "Without foundations such as The Ron Harrod Foundation, young athletes like Serena would not have the financial support to be the best that they can be." Jordan is a GB S14 Para Swimmer and currently the world No 2 in 100m backstroke. In 2018 he won silver medals in both 100m backstroke and 200m freestyle in the para-swimming European Championships in Dublin. Jordan dropped out of school on medical grounds, at the age of 14, having been diagnosed with autism and significant learning difficulties, but has gone on to achieve accolades including winning gold in the 100m backstroke for the GB team at the Japan Open Para Championship. Since leaving school, he has dedicated all of his time to swimming, training at City of Norwich Swimming Club. Tony Bush of Active Suffolk described Jordan as "an excellent swimmer with an established track record. He has the potential to make the Tokyo Olympics in 2020 and this funding could make the difference!" Jordan tells us he's surprised but proud to receive the funding, but adds: "I haven't had time to celebrate yet because I'm in heavy training at the moment - but I will! It feels good to be recognised and believed in. It makes all the hard work seem even more worthwhile. "I will discuss how to spend the money with my parents and coaches but the funding will help me access things like sports massage and recovery techniques such as a float tank, which all cost money. I swim 47,000mts a week and really push myself in the pool and also in the gym, so recovery is very important and something I need to do more of." "My main aim in 2019 is to qualify for this year's World Championships in April and compete in September… I am targeting the podium again after winning two silver medals in last year's European Championships in Dublin." Jordan has some simple advice for aspiring athletes: "First, never give up. You will have failures, but it's how you come back from them that matters. And what you learn from makes you better. Second, trust your coaches 100%. Even if you think they're wrong, you have to believe in them for them to believe in you." Peter says: "Jordan is not on the higher level of funding from UK Sport, so we have to contribute a lot to enable him to continue swimming. The hours he spends in the pool and the gym mean that holding down a job would be impossible. "The biggest financial challenge with Jordan's swimming is, without a doubt, the travelling and hotel/accommodation costs. The majority of his competitions in the UK are in Sheffield, Manchester, Glasgow and London, so this means many nights away in hotels, often for a week or two at a time. And because Jordan competes as an S14 in World Para-Swimming he needs someone to go with him to these competitions, so all bills are effectively doubled. Peter explains that the cost of the kit might surprise many people: "Even a pair of racing trunks at that level will cost in excess of £300, and he goes through them in no time." Things like nutrition play a huge part, but a tightly controlled diet can be expensive. "Eating properly with the right foods enables you to train harder, gaining you the 100ths of seconds here and there that give you the edge." "Initiatives like the Ron Harrod Foundation are vital for young athletes, mainly because there is always that gap, where you are competing against athletes who are on top-level funding. To catch up with them and gain that level of funding means spending a similar amount of money, which most families struggle to cope with. Help like this can help level playing field." "We launched the Ron Harrod Foundation for two reasons," explains Kevin. "First, we wanted to help young local sportspeople to achieve their dreams. Second, we wanted to build the legacy of our 87-year-old founder Ron Harrod, who has done so much to encourage and support sportspeople over the years." "The original 2019 submissions were whittled down to a shortlist of nine by our independent judging panel. Local boxing legend Anthony Ogogo was then given the unenviable task of picking a winner for the award. In the end, we chose three winners, which is fantastic and we can't wait to see how they do this year." Reflecting on his involvement with the Foundation, Anthony said: "I was honoured to be asked to help pick some extremely deserving winners of the Ron Harrod Foundation grant. I too have been a young, aspiring athlete and I know the struggles that come with it, both financially and logistically. It truly was a pleasure selecting some well deserved young athletes. "It's such a shame that we could only pick three because we were inundated with deserving winners, I urge all those guys that weren't selected to continue honing their crafts and seeing how far they can get in their sport."